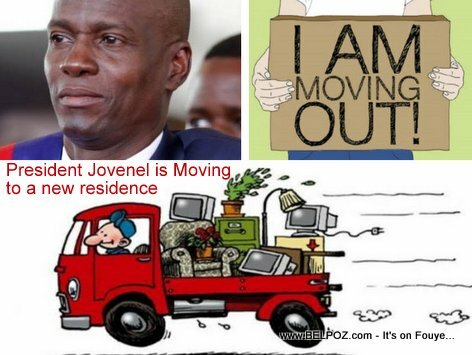 Breaking News... Haitian journalist Luckner Desir reported Wednesday that Haitian president Jovenel Moise in the process of moving out of his residence in Pèlerin 5. The president is moving to Juvenat. Note: The house the president was leaving in in Pèlerin 5 belonged to Yves Leonard, the baby father of acctress and Tabarre city mayor Nice Simon. Up until recently neighbors of the president in Pèlerin 5 were protesting after they houses were destroyed because of a plan to build a helipad for the president.